Some good news for NBC’s affiliates: The network’s 10 p.m. ratings without Jay Leno are up nearly 60%, according to the Wall Street Journal. NBC’s new line-up of 10 p.m. scripted comedies, dramas and reality shows brought in an average of 8.1 million people each weeknight, up 57% from the average of about 5.2 million who tuned in to The Jay Leno Show, according to the WSJ‘s preliminary Nielsen Co. data given to them by NBC. The network’s overall prime-time viewership between 8 p.m. and 11 p.m. on weeknights was up a more-modest 21%, the data showed. NBC’s big audience boost probably won’t stick around for too long, especially since Leno had an all-star line-up, including guest Sarah Palin, during his first week back. Viewers were also ready for new programming after Olympics coverage. 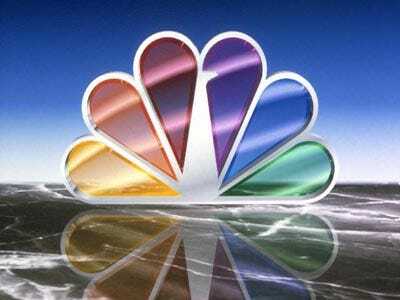 So NBC still needs a prime time, blockbuster show to keep audiences put. Parenthood, the TV spin on Ron Howard’s 1989 movie, has some potential, especially with Gilmore Girl Lauren Graham and HBO’s Six Feet Under star Peter Krause at the acting helm. NBC wants Jerry Seinfeld’s The Marriage Ref to also creep up the ratings ranks. Although it debuted with strong ratings, the show is so cringe-inducingly terrible, we’re not sure if it will survive the season.